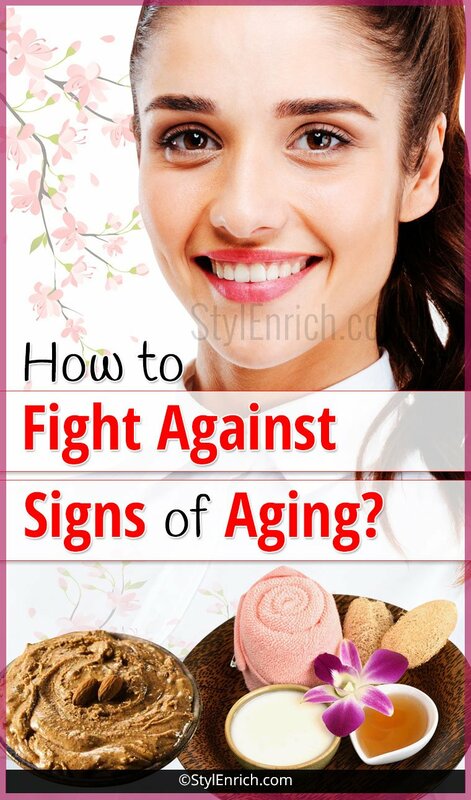 How To Fight Against Signs of Aging? We all are scared of signs of aging. When we spot a wrinkle, a fine line or when our skin looks dull and tired, our signs of aging are reflected in the mirror. We do not want to hear from people ‘You look aged now.’ That sounds painful. Do you know how to stop aging? Let’s see here! Let us accept the fact that we are growing old every day and so is our skin and hair. Thus, acceptance is the first rule of earning beauty. Now, as we cannot stop aging, we can at least slow down the overall process by following a simple beauty care regime. We need to take care of our skin and hair in all ages. It is true that some people age at a faster rate. Everything depends on a number of factors such as hereditary factors, diet, exercise, bad habits, incorrect lifestyle, etc. Hence, we can definitely control these factors that are in our hand and slow down the process of aging. Let’s have a look at how to stop aging! It is the first crucial component that fights aging process. 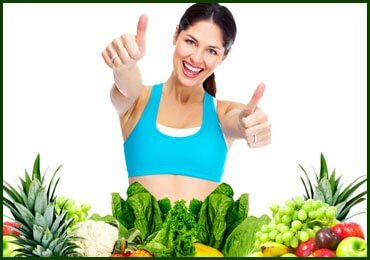 A balanced diet full of nutrients such as iron, Vitamin A, Vitamin C and essential fatty acids is needed for fighting aging. For instance, Vitamin C can reduce wrinkles and fine lines. Vitamin A plays an important role in reducing appearance of dark spots. Apart from balanced diet, you also need to drink sufficient quantity of water every day. Minimum 8 glasses of water a day are required to throw out the toxins from the body. Similarly, you also need to drink tender coconut water, fresh fruits juices, buttermilk on regular basis. Avoid bad habits such as smoking and consumption of alcohol. As we age, we need lesser number of calories but same amount of nutrients. 2. How To Stop Aging With A Consistent Fitness Regime? Exercise done on a consistent basis will help you in being in the right shape, strengthening of bones and muscles, and improving levels of energy and stamina. Exercise also supplies oxygen and nutrients to the brain. This is extremely needed for keeping your brain alert all the time. Exercise also reduces increased levels of stress as it releases endorphins. As we age, the exercise or physical activity demanded by our body is different from that when we were young. Hence, it is advisable to consult a physical or family doctor to understand which kind of and what level of physical activity is needed for a person. As the old saying goes ‘Precaution is better than cure’, one should always go for health examinations. If one notices symptoms of any disease, then it is better to get a health check up quickly and avoid the disorder at an early stage. The aspect of beauty care includes skin, hair and nail care. These are first organs that start showing signs of aging when we grow in age. The symptoms of aging found in skin are wrinkles, dry skin, and thin skin, fine lines around eyes and mouth, crow’s feet. Besides age, many other factors lead to aging of skin. For instance, excessive exposure to sun and pollution, bad habits such as smoking and alcohol consumption, improper use of makeup and cosmetic products, severe sickness, insufficient sleep, etc. Even if you use soap for a prolonged period of time, then it leads to dryness of skin. Women who bleach their skin regularly find dark, black patches on their face. If you need a face massage, use essential oils such as jojoba oil or lavender oil. Perform facial exercises consistently. Instead of going to a salon, consume a nutritious diet. Read on this post to know about the best anti-aging treatment at home. Hair also experiences various aging signs such as greying, dryness, thin and brittle hair. Do not shop and use harsh chemicals to treat your hair. Use natural ingredients such as amla (Indian gooseberry), neem (Indian lilac), curry leaves, coconuts, olives, etc. to prepare hair packs at home. Make it a weekly ritual to massage your hair with different oils such as olive oil, almond olive, castor oil to resolve your hair concerns. Massaging your scalp will promote blood circulation and accelerate hair growth. Simultaneously, pay attention to your food intake that should be comprised of nutrients. Check your nails for brittleness, white spots, or dryness. If you find that your nails are not strong, then increase intake of iron-rich or Vitamin B-based foods. Always cover your hands with gloves while cleaning. Also perform exercises regularly. As age increases, our eyes get tired. Hence, relax yourself whenever time permits. Do not read while sleeping or in dim light. Increase your intake of Vitamin A-rich foods to protect your eyes. Whenever you feel any eye concern such as short-sightedness or watery eyes, then do go for an eye check-up. Use eye drops daily once or twice. Mouth includes teeth, gums, and tongue. Check the colour of your tongue and get rid of any kind of bacteria collected on it. Go for regular dental check-ups to examine teeth issues. Always perform the regime of brushing, flossing and using a mouthwash to keep your teeth and gums healthy and clean. Consume a diet that contains Vitamin D foods. 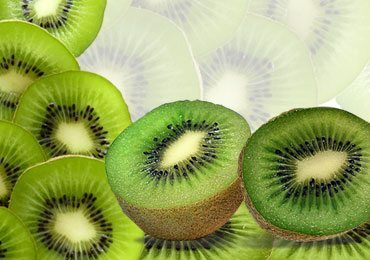 Anti aging foods will help to fight signs of aging in the best possible way. Always choose natural ingredients and beauty products to slow down the process of skin aging. Apply makeup only during special occasions. The nature has bestowed with many blessings and miracles. Utilize them in your beauty care regime consistently. Remember, age is just a number. If you are energetic, optimistic and happy, then you are always young. Always have a satisfied and peaceful mind, free from grudges, enmity and negative feelings. In this way, you will look younger for a long period of time. 1. How To Stop Aging With Daily Face Pack? Papaya is rich in Vitamin A content and other essential nutrients. Avocados are excellent in protecting your skin from environmental damage and aging. Make a paste of papaya and avocados and apply on face by mixing milk or rose water in it. Leave it for 10 minutes and wash off. Apply daily. Take 2 spoons of almond powder and oatmeal powder. Mix coconut milk or jojoba oil to form a paste. Apply on skin for 10 minutes and then wash off. After that, apply a thin layer of honey and rose water and wash it off again after 5 minutes. 3. How To Stop Aging With The Fruitamin Face Pack? Strawberries and oranges guarantee you with youthful and radiant beauty. Similarly, almonds, aloe vera and cucumbers are healthy for your skin. Mix equal quantities of strawberry pulp and orange pulp. Add one spoon each of almond powder and oatmeal powder. To form a paste, add aloe vera juice. Apply this paste on the face and neck and leave for 10 minutes. Preferably, wash your face with cucumber juice. Thus, aging is an unavoidable stage of one’s life. Instead of hiding your face with a thick layer of makeup, go natural and be young at heart. Accept the aging process wholeheartedly and with a broad smile on your face. People will be happy to meet the ‘young you’. Adopt a natural lifestyle and keep applying face packs on skin that are loaded with nutrients in their original form. 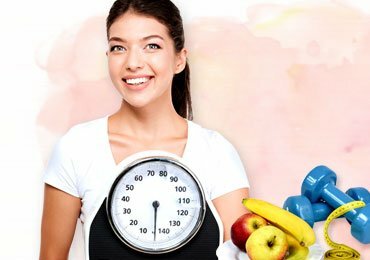 How To Maintain Weight In A Healthy Way After Weight Loss! Skin Care : 5 Best Vitamins for Glowing Skin! 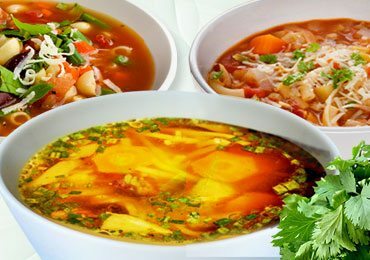 Weight Loss : 3 Healthy Low Calorie Soup Recipes! Surprising Benefits Of Cold Showers You Never Heard Before! 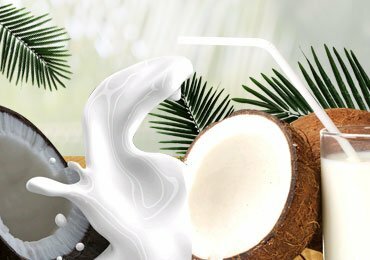 Let’s Discuss Health Benefits of Coconut Milk! Benefits of Yoga for Healthy Body and Mind That You Must Know! 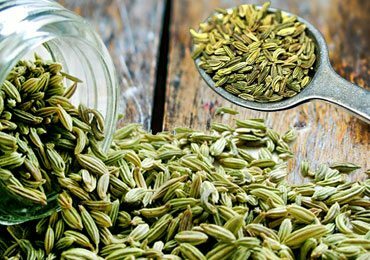 Let’s Know The Fennel Seeds Benefits for Weight Loss and Overall Health! 1 Month Weight Loss And Body Tightening Challenge! 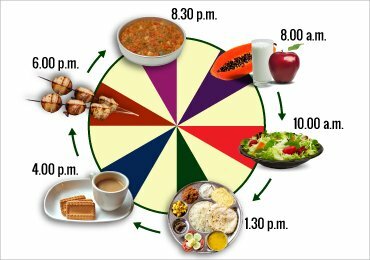 Best Diet Chart for Indian Women For a Healthy Lifestyle!